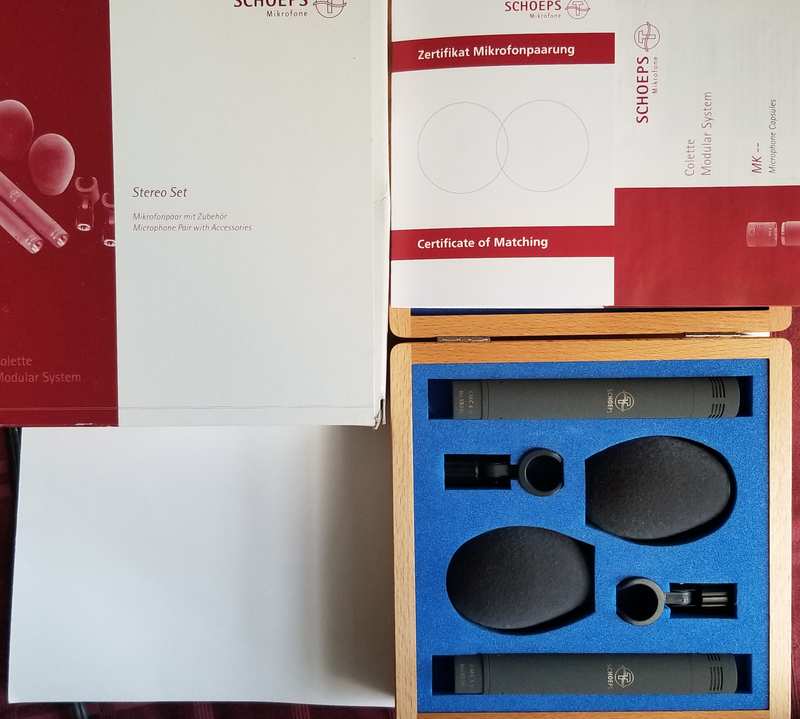 $3,100 with shipping – Schoeps Colette Series CMC64 small diaphragm microphones – stereo matched pair, dated January 2018. Laurence Juber turned me on to these some years ago. But they were way out of my league. However, after considerable research and months of testing, these were the mics I ended up acquiring to make my album. They are just so much better than anything else. But now that I have done that, I cannot afford to keep them. They were used for less than 30 hours. The windscreens haven’t even been removed from the wooden case. These are the above-industry standard for classical guitar recording and fingerstyle steel string recording. Even with a modest digital interface and preamps they have incredible three-dimensional depth and transparency that offer breathtaking detail and turn the sound chamber of an acoustic instrument into a vast tonal landscape for the listener, without the use of any artificial resonance, reverb, or special effects of any kind. These are the antithesis of Neumann KM 184s and clones made in that style; they are not bright and brittle in any respect. With bottomless full bass and rich warm mids they offer considerable potential for EQ shaping in post-production. Although I went with pretty basic mixes myself, someone who wants to get truly geeky about notch filters and whatnot could have years of tweaking fun, as the layers of fundamentals, sympathetic undertone, and multiple tiers of overtones was astonishing, and all clearly identifiable for possible manipulation. I had them set 12” from the fret board and behind the bridge and the way they captured the nuances was outstanding. But they are not just guitar mics. They are used throughout the recording studio world for all sorts of things, from grand pianos to choral groups. One does not see these for sale very often, because no one wants to part with them. I can supply a Hi-Def WAV file for serious inquiries. These are not stereo matched at the factory, but they are only 1 serial number apart. 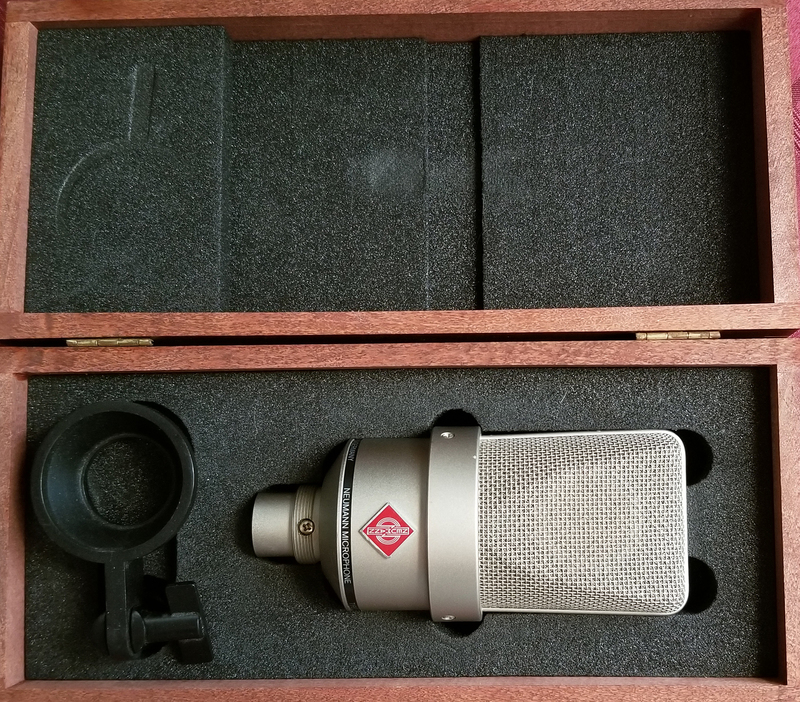 These are the recording industry standard small-diaphragm mic for acoustic guitar, drum cymbals, choirs, inside grand pianos, etc. etc. and they can be used live on stage for acoustic guitars and mandolins etc. 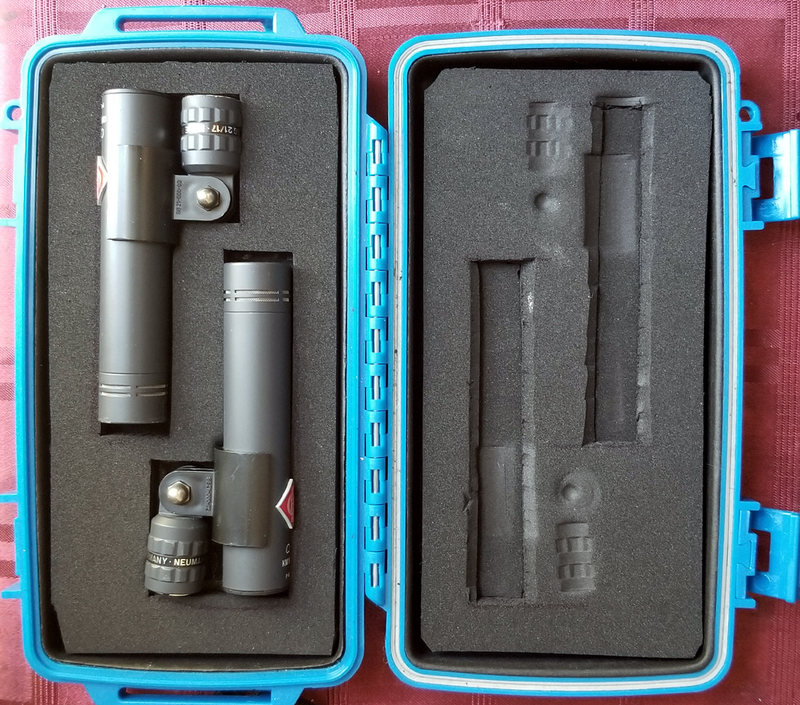 I bought them used from a professional musician in Florida and they come in an especially designed Otterbox travel case. This was acquired for my old theater company and I have had it ever since. But it has been rarely used despite its age, having lived in my guitar room in its original wooden box for years at a time. 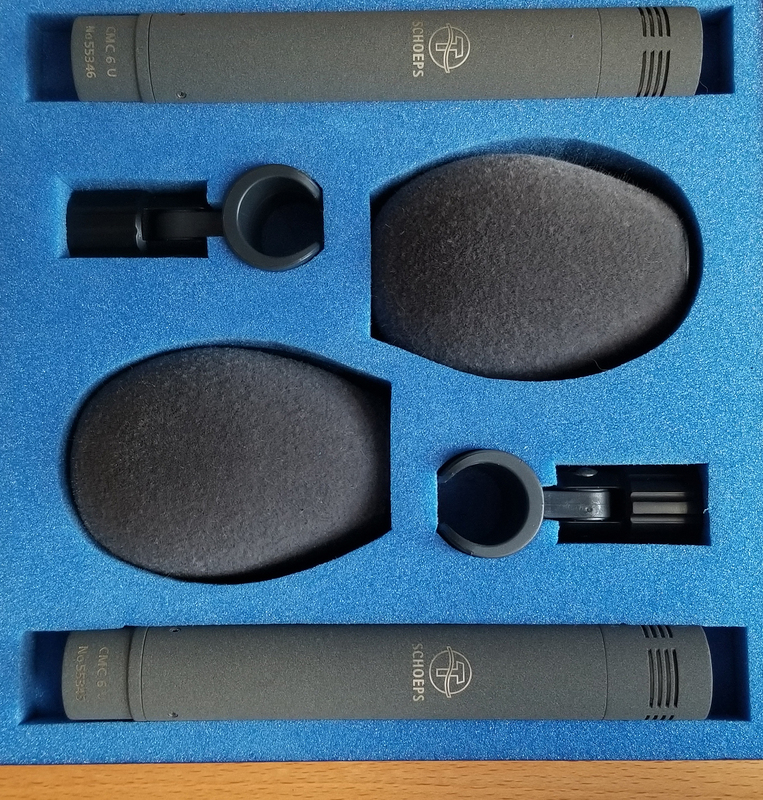 It can be used for all sorts of things, vocals or in combination with other mics to get the highest highs and lowest lows, or when multiple players are all using one mic. 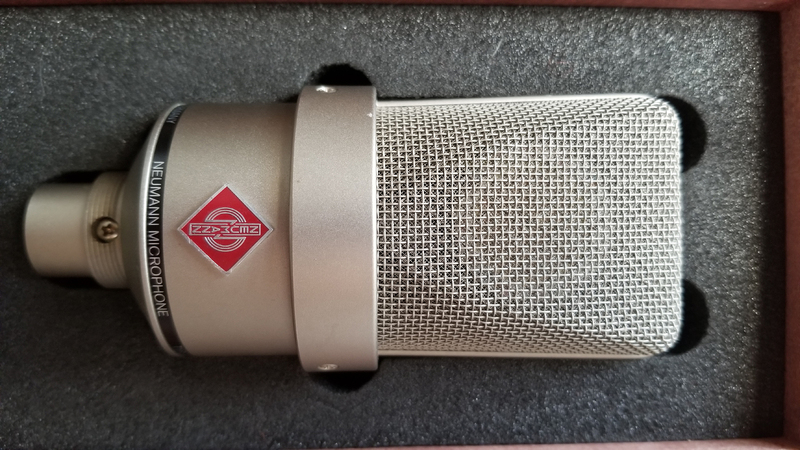 It offers defined, uncolored reproduction, which is why it is still the professional standard for home studio podcasts and voiceover work.